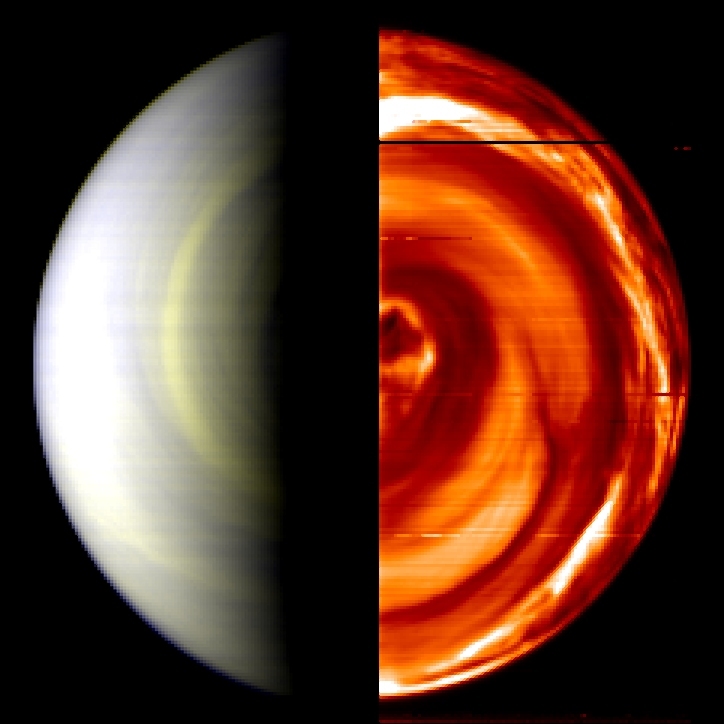 This false-colour VIRTIS composite image shows Venus's day side on the left and night side on the right, with a scale of 50 km per pixel. The image of the night half was taken via an infrared filter at a wavelength of 1.7 μm, and chiefly shows dynamic spiral cloud structures in the lower atmosphere, around 55 km altitude. The darker regions correspond to thicker cloud cover, while the brighter regions correspond to thinner cloud cover, allowing hot thermal radiation from lower down to be imaged.